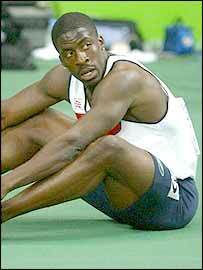 Sporting heroes are not always those that make the biggest headlines or lift the most prestigious trophies. We take a look back and pay tribute to some of 2003's less-celebrated performances and achievements. While Lance Armstrong's achievement in winning his fifth Tour de France was testament to his incredible determination and all-conquering talent, for sheer bravery on the sporting stage, few can match Tyler Hamilton. The Tour is arguably the greatest test of physical endurance in sport - more than 2,000 miles of sprints and mountains that can break the strongest bodies and spirits. And when you fracture your collar bone in two places after a horrific crash in the very first stage, no-one would blame you for making your excuses and enjoying a three-week holiday with your team around France. But Hamilton defied the pain to cycle on and finished a stunning fourth, just six minutes behind Armstrong. 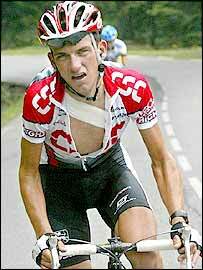 He even won the 16th stage - which ended with the steepest climb on the Tour route, up the daunting Col de Bagarguy. The day Fernando Alonso first truly proved the ability that many believe marks him out as F1's next great driver was not the afternoon of his first Grand Prix victory, in Hungary in August. It was at Barcelona's Circuit de Catalunya in May, when he finished second. Raw statistics will say Michael Schumacher won the Spanish Grand Prix - just another victory in an illustrious career. What they will not record is that he was pushed all the way by 21-year-old Alonso, who put in a performance in Schumacher's image. In a Renault much less powerful than Schumacher's Ferrari, Alonso drove a race of astonishing high-speed consistency, trading fastest laps with the German all the way. 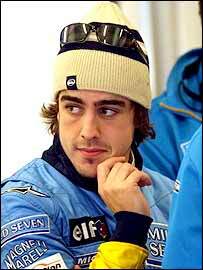 Throughout the race - and throughout the season - Alonso demonstrated he is the only man currently in F1 who can match Schumacher's ability for extracting every ounce of the potential of his car on every lap of every race. From the outside, the Spanish race might have looked boring, but to anyone watching a screen showing lap times, it was obvious that a titanic struggle was being played out. And that performance on a hot afternoon near Barcelona was the first time it became abundantly clear to the few paying close attention that a new superstar had been born. 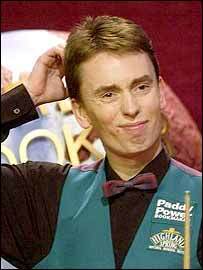 Ken Doherty provided snooker's most compelling moments in a year dominated by Mark Williams' relentless accumulation of silverware. In his dramatic passage to the final of the World Championships at The Crucible, Doherty reduced his fans to nervous wrecks. Scraping through the first round on the final black to edge Shaun Murphy 10-9, Doherty recovered from 2-7 down before taking another tense final frame to beat Graeme Dott 13-12. His 10-0 quarter-final lead against John Higgins evaporated to 10-7 before he rallied to win 13-8. Doherty refused to learn his lessons, allowing Paul Hunter to move into a 15-9 semi-final lead before battling back to take yet another final-frame decider and win 17-16. Fears that Doherty would have nothing left to give in the final proved unfounded as he pushed Williams all the way before bowing out gracefully. 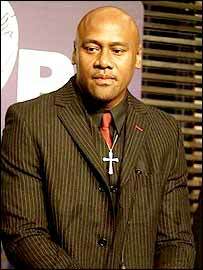 His performances for the All Blacks at the 1995 and 1999 World Cups had already marked Jonah Lomu out as a special rugby talent. But in the eyes of many rugby fans, it was in the face of adversity that Lomu's true greatness shone through. Laid low by a debilitating kidney condition, Lomu refused to give in despite receiving dialysis treatment three times a week. The 28-year-old set his sights on a place in the New Zealand World Cup squad and began a punishing training regime to regain his place in the Wellington provincial side. The comeback proved abortive as circulation problems caused by his kidney condition left him a shadow of his former self on the rugby field. But even if Lomu is never able to play top class rugby again, the bravery, pride and dignity with which he fronted up to his health problems have raised him in everybody's estimations. The athletics unsung hero of the year was so unsung that nobody even knows the identity of him - or her. But the anonymous athletics coach who passed a syringe of the until-then unknown steroid THG to the United States Anti-Doping Agency blew the whistle on a major scandal. Athletics still has a major problem in the shape of drug abuse, but the action of this unknown coach means athletes cannot be certain testers will remain unaware of any new substances for long. And it has forced athletics chiefs to realise they have to look not just at athletes, but at the people who support them, if they want to eradicate the drug problem.